Two weeks ago I was excited to join together with 400 go-getting women for the inaugural Women’s Entrepreneurship Day (WED) Conference in Madison, Wisconsin. Spearheaded by Laura Gallagher, president and founder of the Creative Company, it was an awesome day of connection and inspiration. Gallagher paralleled us to migrating geese as they skein together in formation for their journey. Three weeks ago a similar gathering of entrepreneuristas took place in Madison; the Women’s Food & Ag Network (WFAN) Conference. While the heel height may have been different, the energy and empowerment were just the same. Being a food and ag woman myself, let me use my honey bees as an example. This sisterhood of collective intelligence were abuzz all summer producing food to last the winter. Goodness, am I talking bees or women farmers here? 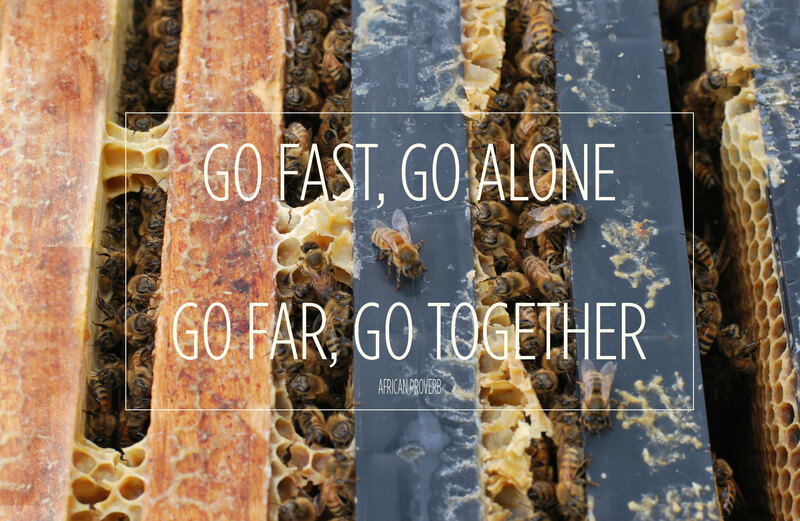 Whether we’re geese or honey bees, when women get together great things happen for the good of all. Put a shared passion before us and we change the world. Think Women’s Suffrage Movement, the Hillside Club, or Wisconsin’s Soil Sisters. With this in mind and because today is Giving Tuesday, my mailbox is now open for pro-bono applications. Each year Adunate accepts two pro-bono projects for greatly reduced or no cost. These are projects I believe will positively impact the good earth God gave us and the people who inhabit it. If your organization needs creative assistance in the upcoming year, click here for an application. Then, to guarantee your project’s success, be sure to click here! Deadline for submissions is December 31, 2017. I will let applicants know of my decision in January.